The 2014 Softail® Slim blends raw, minimalistic 1940s bobber styling with up-to-date old school minimalism. 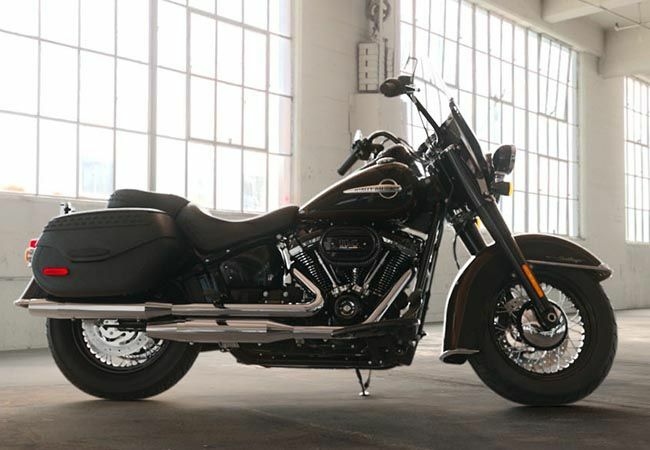 The Slim offers tons of stripped down attitude with fat features, including black-rimmed wheels, round black air cleaner cover, Hollywood-style handlebars, and fat chromed front forks, combine with raw, minimalistic finishes throughout. Its chopped rear fender and narrow rear profile adds to the long, lean vintage chopper look. The Twin Cam 103™ engine gives the power you need and it rides with confidence-inspiring handling, at low and high speeds. The low seat height and light design makes putting it on or lifting it off its easy jiffy stand quick and easy.